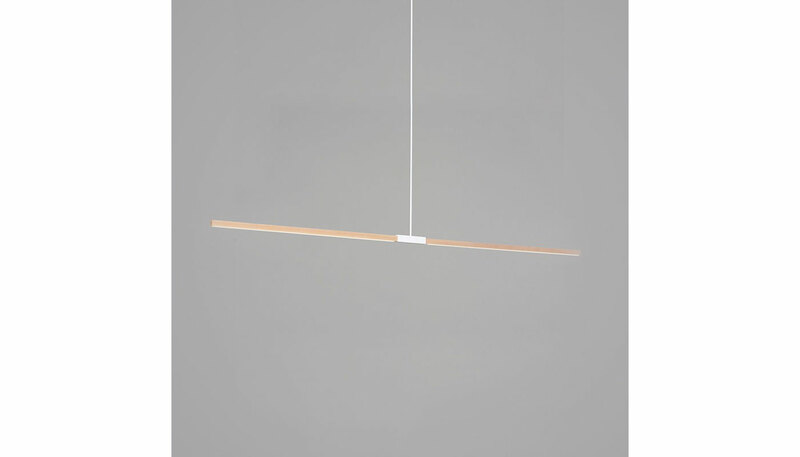 Linear pendants are comprised of a central metal hardware component and two symmetrical bulbs. The overall length of the pendants can range from 4ft, 6ft, 8ft, 10ft, or 12ft. A clamping mechanism allows for the leveling of the bulbs. Bulbs can be oriented to provide down-light or uplight. The wooden component is offered in sustainably sourced maple or walnut, reclaimed southern yellow pine, or ebonized oak. Metal hardware is available in powder coated white, slate gray or matte black, hand blackened steel, polished nickel, and brushed brass. This lamp requires one LED, 3000K bulb, available in standard or high brightness. Bulb is included. UL listed. Manufactured by Stickbulb.